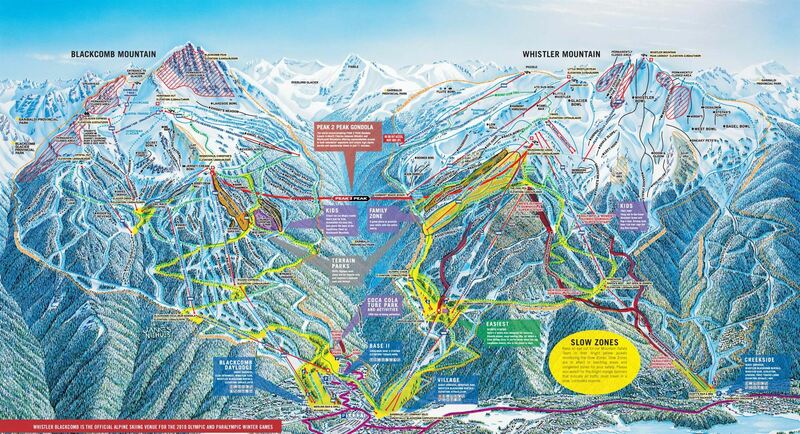 Stop wondering if Vail Resorts will maintain Whistler-Blackcomb’s industry leading lift network. A year after buying the mega-resort, the mega-resort owner announced a plan to build three new lifts for next winter. A 10-passenger gondola highlights the $66-million planned investment. The new lift will replace the Wizard and Solar chairlifts on Blackcomb Mountain. Leaving from the Blackcomb base it will end right next to the Peak 2 Peak Gondola. The new lift will increase uphill capacity by 47 percent over the two quad chairs to 4,000 people an hour, the highest capacity in North America, says Vail Resorts. It also creates the possibility of linking three gondolas, riding up Blackcomb or Whistler by gondola and then across the Peak 2 Peak and down the other side. More practically, it means never having to ride a chair in crappy weather: the addition will allow gondola uploading and downloading from both mountain’s alpine areas. The rest of the money goes towards upgrading two popular lifts, improving intermediate and beginner riding. To ease congestion in Whistler’s mid-mountain family zone Vail will replace the four person Emerald Express with a six person high speed lift. On Blackcomb, plans call for ditching the achingly slow the three person Catskinner Chair, which runs right next to the terrain park, ski cross course and half pipe, with a high speed quad. The lift also services a bunch of green and blue runs. The new Catskinner will move 50 percent more people. “This transformative investment, the largest in the resort’s history, will offer a dramatic improvement to the experience for all of our guests,” says said Pete Sonntag, senior vice president and chief operating officer of Whistler Blackcomb.